Jochiwon: How Do I Get To Homeplus? 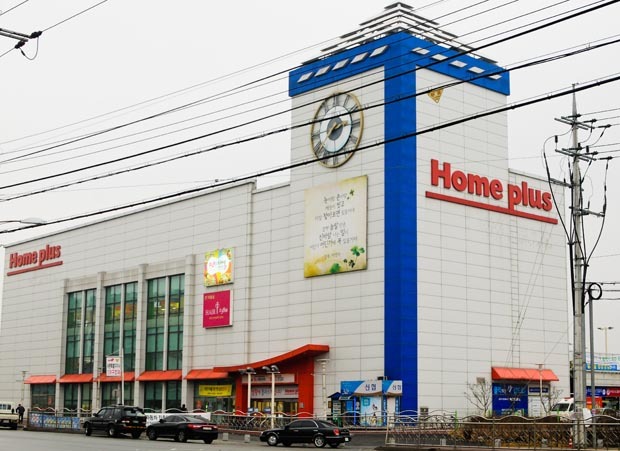 Homeplus is the big department store that combines groceries, clothes, stationery and electronics. It’s much like a Walmart or Tesco; in fact, it is a Tesco-owned company. 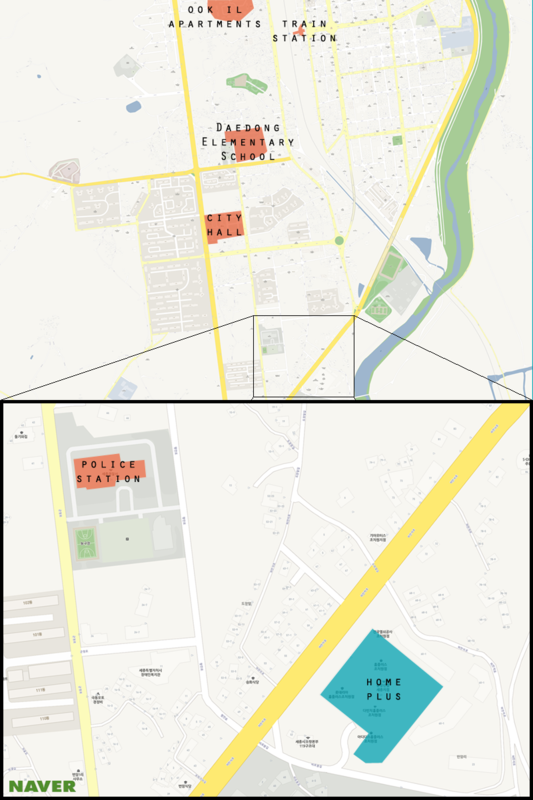 You have several options for getting there, from walking to taking a taxi. Option 1: Take a bus. Option 2: Take a taxi. In Jochiwon, you can get a taxi at the taxi stand next to Ook-il apartments. Tell the taxi driver “Homeplus-uh/홈플러스 ,” or more preferably the polite Korean request, “Homeplus-uh ga-joo-say-yo/ 홈플러스 가주세요.” This usually costs no more than 5,000 won. There is a taxi stand outside of Homeplus for your return trip. Option 3: Walk along the stream near Ook-il apartments. When you get to the stream turn right and go down to the walking/running path. Stay on the path until you go under the big bridge downtown. You will need to then move on to the higher pathway and follow that until you get to Homeplus. It will be on your right. It takes about 45 minutes to walk to Homeplus from Ook-il. Option 4: Walk through Ook-il Apartments as if going to the overpass leading to the train station. Instead of crossing the tracks, go underneath the bridge and turn right. Go straight. You will see a K-mart at a roundabout, keep going. Just after the roundabout turn right again. Homeplus will be just ahead on the left. Walk up to the traffic lights and cross the road. This route takes about 30 minutes. Hours: 10am-11pm everyday. Closed 2nd and 4th Wednesday.